FORTID was originally formed by Icelandic musician Einar Thorberg (CURSE, DEN SAAKALDTE) as a solo project in 2002, and the subsequent release of what is known as the Völuspá Trilogy, comprising three full-length albums, “Thor’s Anger”, “The Arrival of Fenris” and “Fall of the Ages”, established FORTID’s reputation and led to Thorberg’s move to Norway between the release of the second and third parts of the trilogy, where he recruited a permanent lineup. 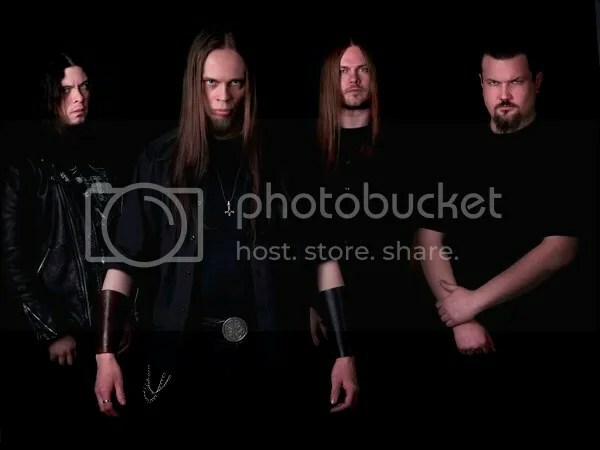 Aside from Thorberg on guitars and vocals, FORTID’s current lineup includes Øystein Hansen (ex THORNBOUND) on guitars, Rikard Jonsson (FORSEFED HORSEHEAD, ex DEJECT) on bass and Daniel Theobald (CURSE, DEN SAAKALDTE, ETHEREAL FOREST) on drums. Work on the band’s fifth full-length album has just been completed and is ready for the mixing stage, and, whilst not wanting to go into too much detail yet, Thorberg recently revealed that the lyrics for the, as yet unnamed, album will be in Icelandic.